January Magazine: Third Time’s the Charm for League of Extraordinary Gentlemen? 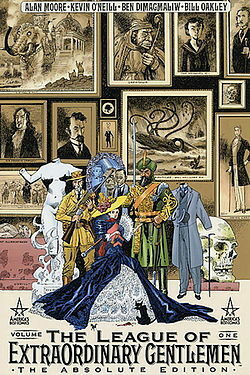 Third Time’s the Charm for League of Extraordinary Gentlemen? Perhaps, the third time’s a charm for THE LEAGUE OF EXTRAORDINARY GENTLEMEN. After a lackluster feature film in 2003, and a failed attempt to kick off a TV series in 2013, 20th Century Fox and Davis Entertainment have decided to go back to the source, planning to reboot a potential franchise based on Alan Moore’s comic book series. The critically and commercially successful comic book series follows Mina Murray, who is recruited by Campion Bond to assemble a league of other extraordinary individuals to protect the interests of the Empire. Captain Nemo, Allan Quatermain, Dr. Jekyll and Hawley Griffin, the Invisible Man team up with Murray to form an off-color group of outcasts that use their powers and skills to save the world from destruction. The award-winning series ran fifteen issues and two graphic novels.